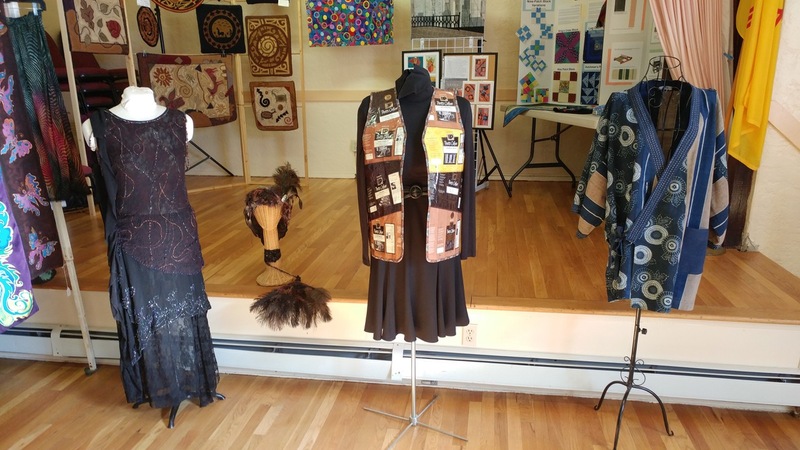 We sponsor Pop-up Galleries for members to sell their fiber art in conjunction with other downtown activities that draw residents and visitors. Three are planned and others may pop-up! On the first Thursday of each month, members get together to socialize, work on, and show their fiber art. Very informal and fun! 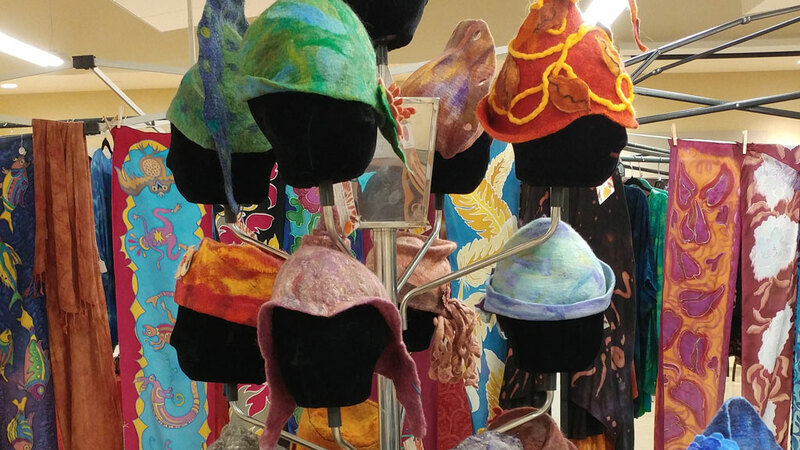 Incorporated in 2005, the Southwest Women's Fiber Arts Collective is a grassroots, non-profit 501(c)3 organization. 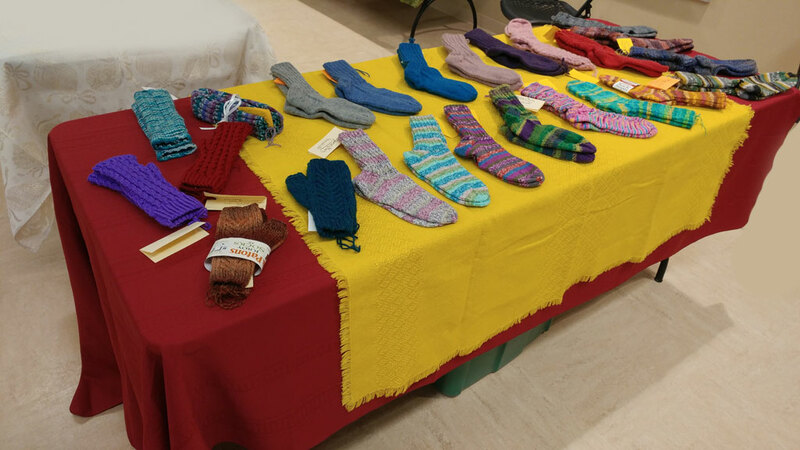 Our goal is to stimulate and support successful cottage fiber industry in the Southwest. 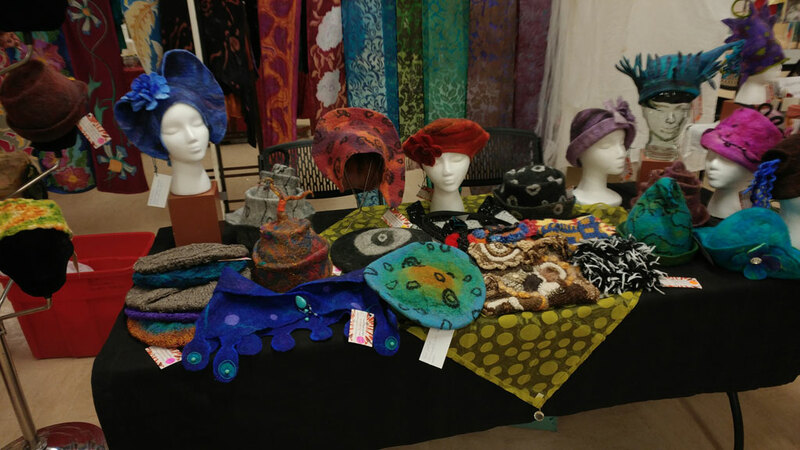 We provide communication and information among artisans and guilds about art & craft shows and sales, workshops, classes, and teachers. By creating a networking structure we improve opportunities for everyone working in fiber arts to gain skills and financial independence. Join us at our annual Holiday Fiber Arts sale just after Thanksgiving, offering a wide range of fiber arts that make great holiday gifts. And, Pop-up Galleries along with other downtown Events & Activities.